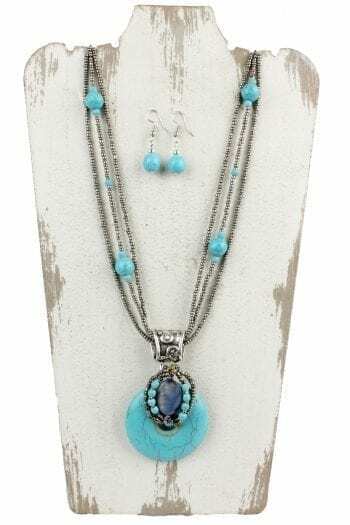 Gold Pendant Necklace measures 16″ with a 3″ extender. 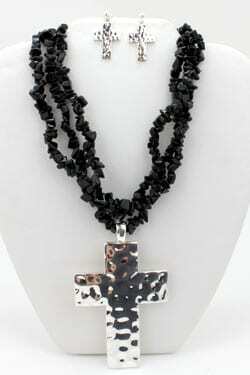 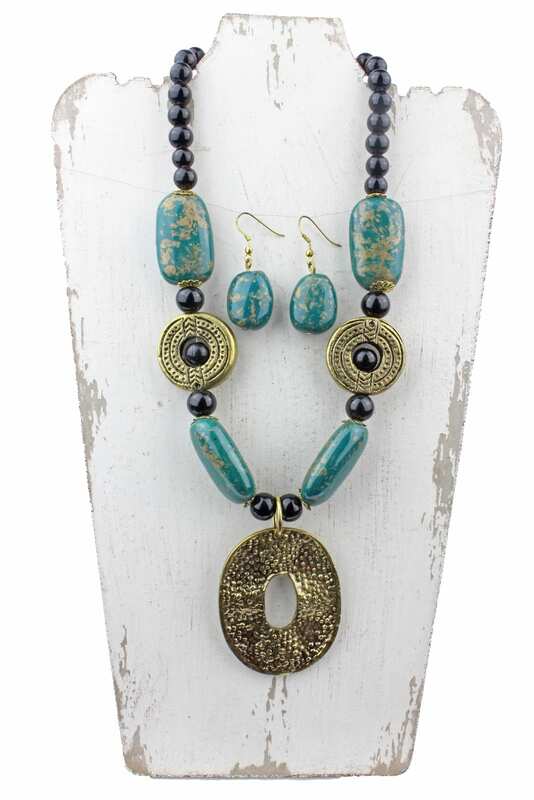 Necklace consist of black, gold, and teal patterned beads with a gold platted oval pendant. 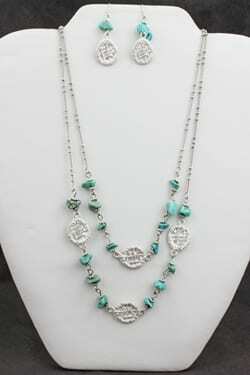 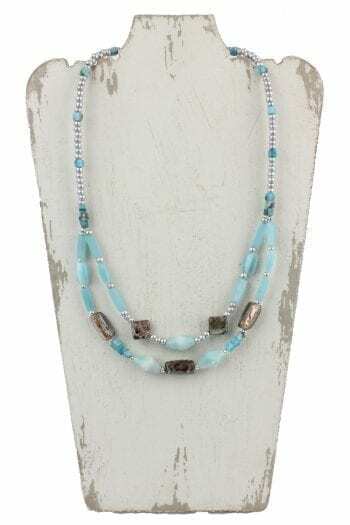 This set also includes matching teal patterned earrings. Bring out your inner goddess with this magnificent set.